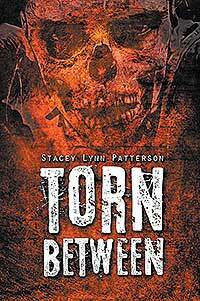 Author Stacey Lynn Patterson is taking her latest book TORN BETWEEN, on tour — a Virtual Book Tour with Outskirts Press. This will allow Stacey to take her book into the far corners of the globe, all from the comfort of her own home! Keep an eye out for Stacey’s book as she will be featured on several blogs over the weeks and months ahead! Luckily for us, Stacey was kind enough to answer a few questions as the tour was getting started so that we can give you a sneak peek into the mind of the creator of TORN BETWEEN. OP: Tell us a little bit about TORN BETWEEN. What is it about? Stacey: My book is about a budding African American photographer, Gabriella Dixon, who goes on the vacation of a lifetime with her childhood friends Xavier, Ash, Inez, and Jess. An accident leaves Gabriella less than whole. Gabriella dies during the accident and is revived by some other vacationers that happen to be nurses, but she has left something in the realm of The Between during her short moment of death- half of her soul. The Between is junction or weigh station for souls of the departed, but it is full of darkness and despair. 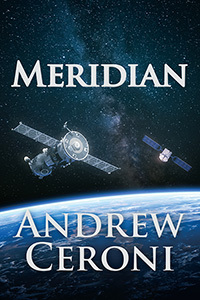 Gabriella must find a way to retrieve the missing half of her soul before the entities that took it come for the rest of it. 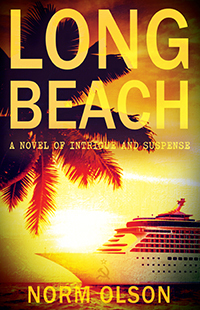 Stacey: I had already written several poetry books, a children’s book, and a short story book. The short story book, which had many strange events and people, inspired me to try my hand at a small novel with supernatural beings. Stacey: I researched several self-publishing presses and decided on Outskirts because they had a lot of packages and options for me to utilize. Stacey: I will transport the reader to other realms and maybe make them wonder if there are other realms parallel to ours. Stacey: Yes, I have six poetry books, one children’s book, a short story book, and an Affirmation Journal published so far. Stacey: Yes, I am currently working on another fiction novel called, “Someone is Always Watching,” which is a spin-off from one of my short stories in my, “Strange Happenings” book about a serial killer. I am also co-authoring a children’s book with my eleven-year-old granddaughter, and I am writing a new poetry book. OP: Thanks for your time, Stacey! We look forward to learning more about you as you visit other bloggers! Stacey resides in Pittsburgh, PA. She spends most of her time lost in her thoughts. When she emerges to involve herself in the outside world, she chooses to share her inward adventures through her writing; whether it be fiction, poetry, or children’s books. 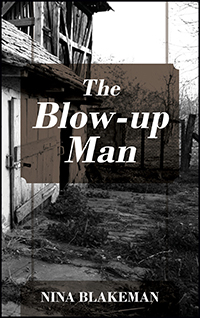 Nina Blakeman’s “The Blow-up Man.” West Texas is not a place for the weak…or a naive, young woman with a head full of fantasy. Life without a father has left Faye with many unresolved issues. They’re major contributors to her falling long and hard for her lonely, older mentor whose ex-wife is psychologically disturbed. 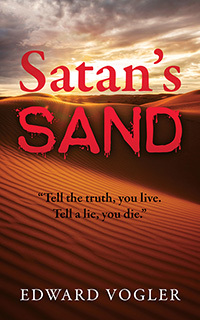 In this psychological thriller, emotions run high among people with different personalities, fears and motives.